The post-apocalyptic Metro game series nearly collapsed after the bankruptcy of publisher THQ, with developer 4A Games finding a new home for it at Deep Silver. 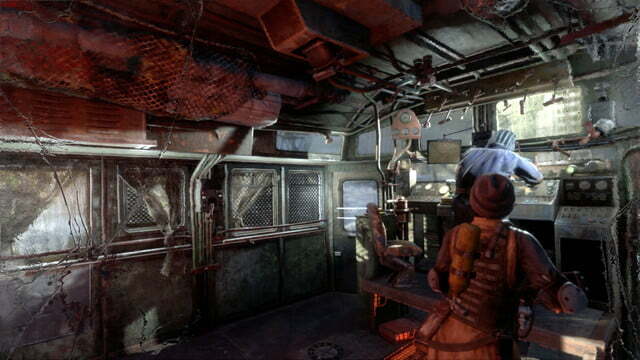 Much like the story of the Spartan Order and protagonist Artyom himself, the story of Metro is one of survival. With Metro Exodus, however, 4A’s sights were set on something bigger, taking much of the adventure out of the titular subway lines and into the decimated world above. 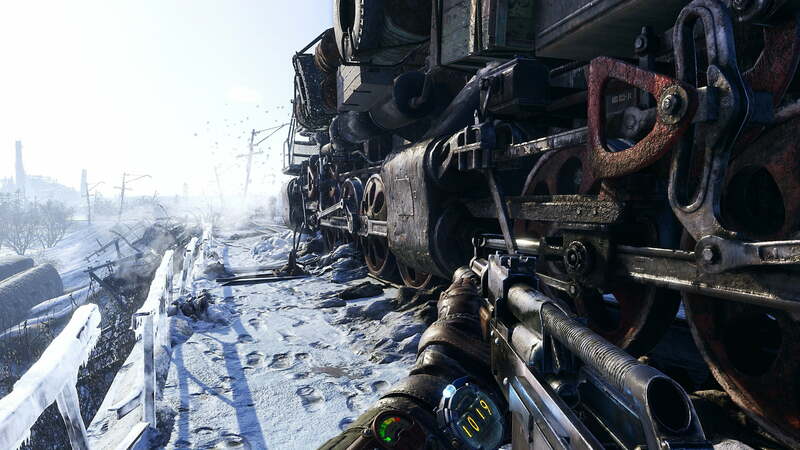 Metro Exodus still carries some of the series’ classic problems, but it also pushes it forward in a way that proves it can compete with – and even surpass – bigger post-apocalyptic franchises. Set after the “good” ending in Metro: Last Light, Metro Exodus finds protagonist Artyom and his wife Anna working to protect what remains of Moscow’s citizens, but the dead-end prospect this means for his future leaves him unfulfilled. 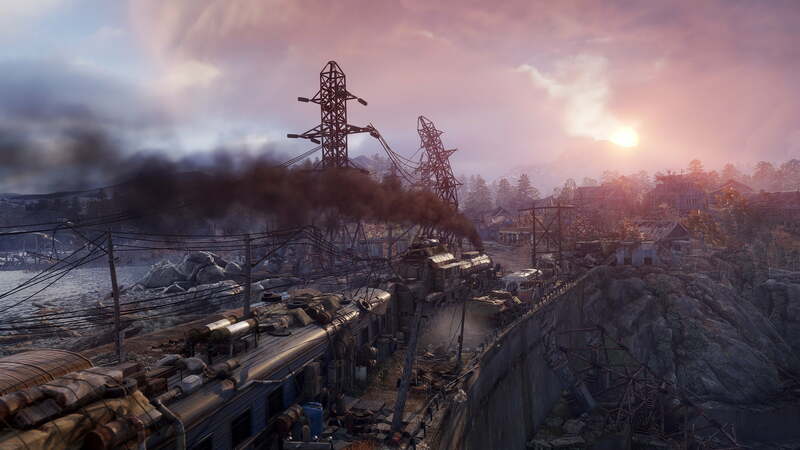 In search of hope, Artyom returns several times to the irradiated surface and attempts to locate other surviving regions via radio, much to the dismay of Anna, but signs of life soon convince the rest of the Order that Moscow should not be their home. A year-spanning cross-country journey by train begins, with Artyom and Anna’s father Miller leading a small group of operatives on a mission to locate a safe haven and uncover the truth behind the nuclear war that has devastated the planet. 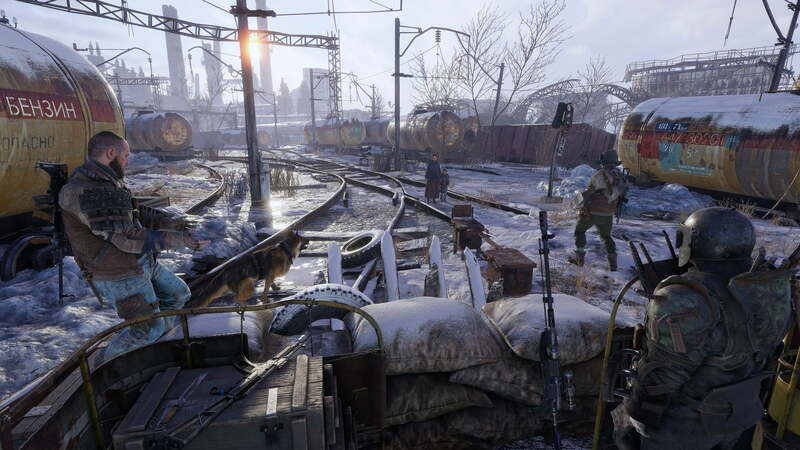 As with both previous Metro games, Metro Exodus puts its story above nearly everything else, leading to lengthy cutscenes and non-combat gameplay encounters both on the train and out in the world, but it manages to avoid feeling like filler material. 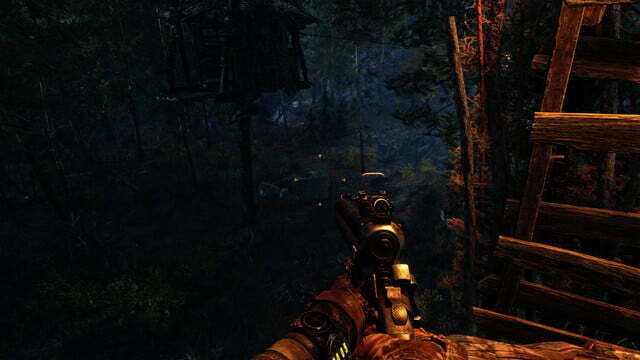 Learning the backstories, personalities, and even the talents of Artyom’s comrades helps to make them each feel unique, and it gives an added tension to the high-stakes action scenes they often find themselves in. 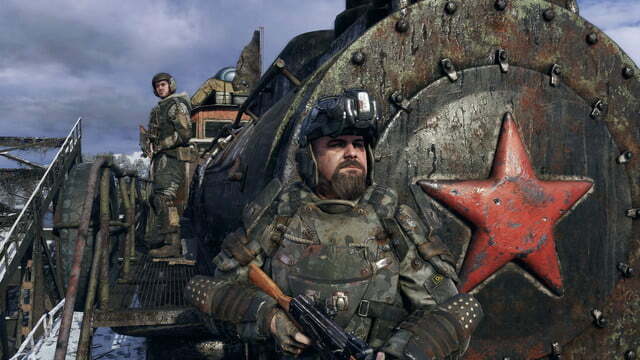 Metro Exodus no longer relies on the factions we’ve seen featured so prominently in both previous games. Artyom himself remains silent unless he’s writing a journal entry, but he’s developed a certain charm over the years. His use of hand cues help him to remain expressive at key moments. These excellent character-building moments are, however, occasionally muddied because of bizarre scripting issues. Characters can interrupt each other unintentionally, and while loading into one area, we were once forced to stand and wait for characters to have conversations they already had minutes earlier before being allowed to progress. Another area had a side mission that could only be completed after resuming the main story, and we were stuck there for over an hour trying to access it. No longer bound to the Metro system or even Moscow itself, Metro Exodus no longer relies on the factions we’ve seen featured so prominently in both previous games. The Red Army and the Fourth Reich are hardly even mentioned, with Artyom instead encountering entirely new groups. Some are friendly, while most are not so friendly, and add flair to the series with grisly killing techniques. This results in an arguably less political story in Metro Exodus, which is a little strange given the series’ subject matter. 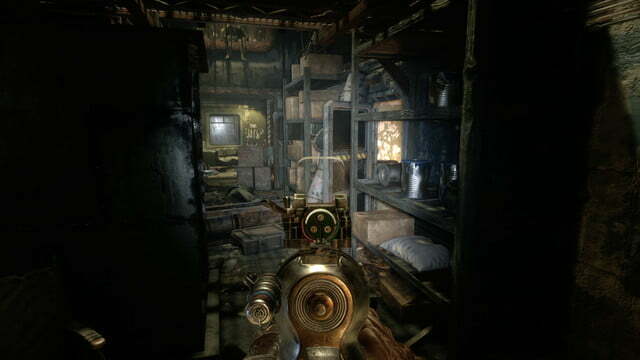 But its restraint from throwing in the kitchen sink for a “bigger and better” Metro game has actually led to a stronger final work, and one that will still feel essential when the inevitable fourth game releases. 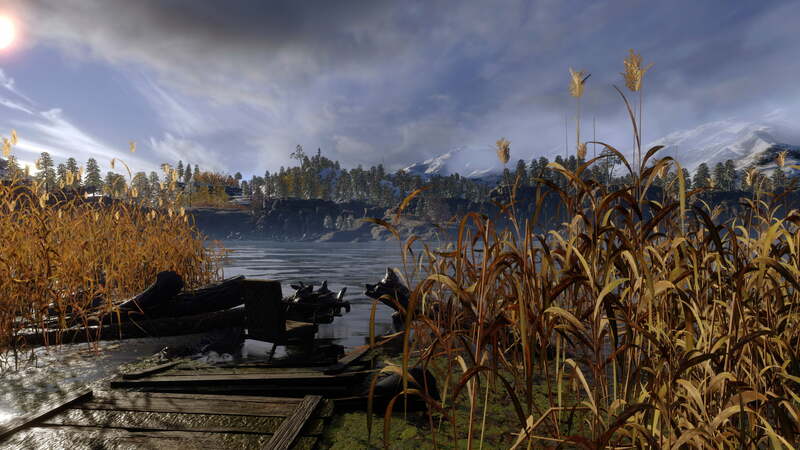 Free from the restrictions of Moscow’s architecture and snow-covered streets, Metro Exodus has the most diverse environments in the series, and arguably in any post-apocalyptic game to date. Beginning in winter and ending in late autumn, we see vast sand-covered deserts, overgrown forests filled with primitive huts, and swamps hiding giant slug creatures. We do still get plenty of time in bunkers and the Metro system itself, so any worries about Exodus dropping such an iconic part of the series with the change in locations are quickly dismissed. Environments range from the dreary to the sadistic, with severed heads stored in refrigerators and skeletons piled inside subways. 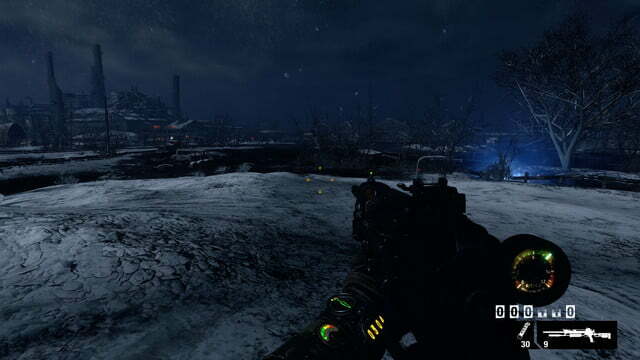 The new outside areas are brighter but still filled with buildings that plunge into complete darkness. Your flashlight and lighter are necessities, keeping the threat of alerting an enemy with the glow of your light always on your mind. 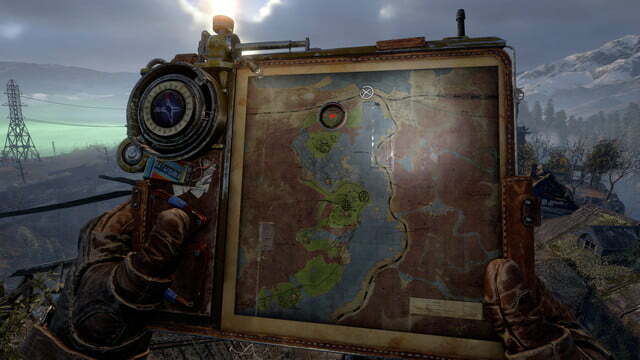 If you happen to get lost, the map is an in-game object that must be viewed in real-time. It all contributes to a sense of tension that permeates the entire game, occasionally even transitioning to full-blown horror. Will you try to sneak into a bandit-filled compound and eliminate them with a pneumatic air gun, or do you lob grenades through the front door? 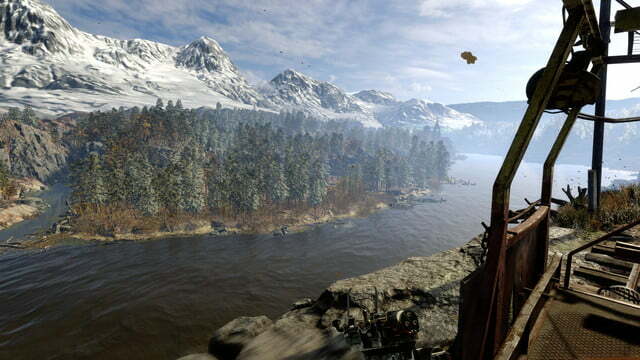 But Exodus is not an open-world game. Instead, it gives you a variety of large environments to scavenge and explore as you work toward your main objective, and side content directly tied to that goal. There are no random NPCs standing around waiting to give you rewards for completing quests. This keeps the pace consistent, without fetch quests or inconsequential battles slowing down the story. The game doesn’t do the best job of telling you how to approach side objectives, as some are only accessible after moving forward with the main objective, but there are only one or two spots where this can cause issues. 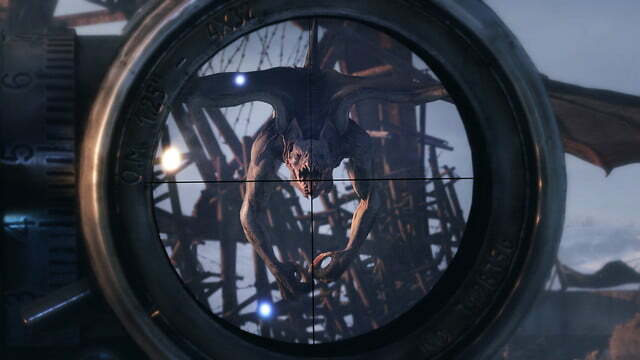 Brilliantly balanced areas, scarce resources, and enemies ensure you never feel safe in any situation. Items such as gas mask filters are precious, and you’ll die in seconds without one when visiting areas with unclean air. Medical kits are even more important, and their limited availability encourages stealth or avoiding conflict altogether. You’ll find that saving one resource almost always leads to the loss of another. Unfortunately, avoiding enemies means missing out on anything they happen to be defending. This risk-reward approach affects nearly every encounter. Will you attempt to sneak into a bandit-filled compound and eliminate them with a pneumatic air gun, or do you take a more direct approach and lob grenades through the front door? Going loud also has its consequences, often bringing deadly, quick-moving mutants to the fight. In Exodus, it isn’t the enemies you see that are the most dangerous, but the ones waiting for an excuse to show their faces. Metro has never prided itself on offering the smoothest gunplay, but Exodus does an adequate job with its arsenal. 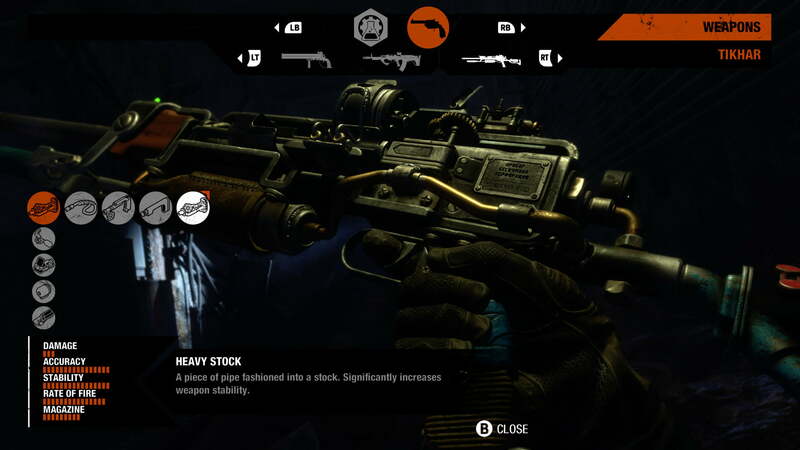 Shotguns have an impressive kick that makes lining up a second shot an acquired skill, and the snappy, precise pop of the Tikhar air rifle makes it ideal for patient players. Hit detection doesn’t seem quite as accurate as it does in similar first-person shooters, and we occasionally couldn’t hit a target that was in our sights, but the game’s extremely generous checkpoint system meant this was only an occasional annoyance. The sense of choice in battles also extends to gear customization. 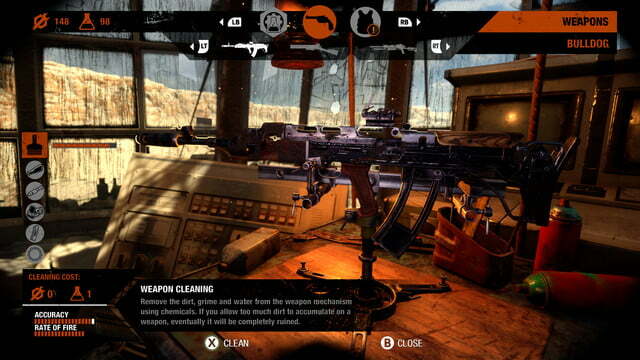 Artyom can completely transform items he finds to suit his needs using parts pulled from dropped weapons and found in the environment. 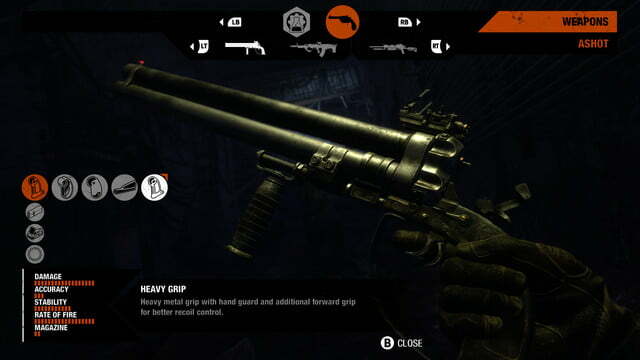 A powerful revolver can be modified with a different stock and barrel system to become a shotgun, and a barebones AK rifle can act as a close-range spray-and-pray gun or a designated marksman’s dream gun. Even Artyom’s facemask can be altered, either with stronger armor or bullet-resistant glass, but there is a tradeoff for every decision. Armor will keep you alive, but cracking your visor will force you to cover the hole with view-obstructing tape until you can make full repairs. 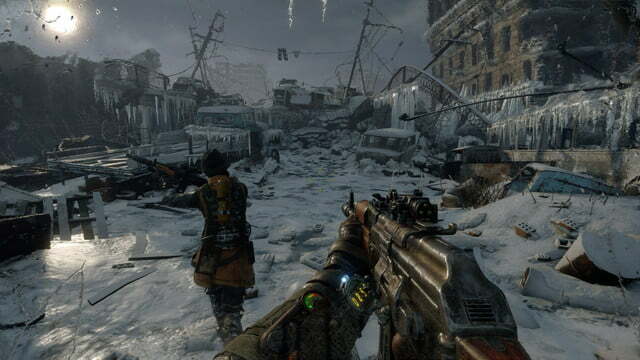 It still has some of the technical issues we’ve seen from 4A Games before, but Metro Exodus stands as a terrific post-apocalyptic shooter that expands on the series’ customization options and environments without ignoring its survival roots. 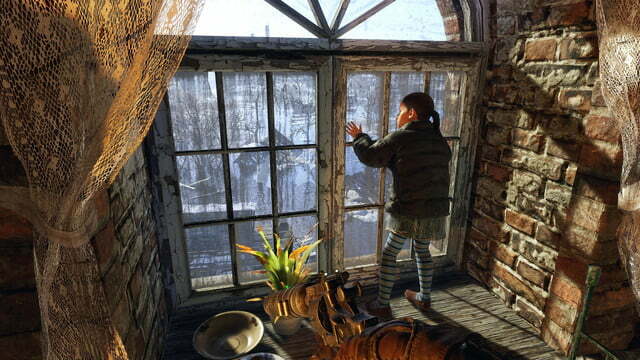 4A Games remains committed to turning author Dmitry Glukhovsky’s stories into (barely) living and breathing worlds, offering brief glimpses of hope in an otherwise depressing and occasionally nihilistic tale. Exodus establishes Metro as one of the great narrative-focused shooters, and it proves that exciting action doesn’t have to come at a detriment to story. No. Exodus is wonderful and feels unique, even when compared to similar games like 2033 and Last Light. The main story and most of the side missions took us around 10 hours to complete on the standard difficulty. Yes, especially if you’re looking for a grittier take on the apocalypse.